The main question, though, is whether the Shake Weight workout is effective. Press releases cite results from two studies -- one by a commercial laboratory, the other by a San Diego State University researcher -- that claim Shake Weight burns more calories and engages the arm muscles better than free weights do. However, these studies probably should be taken with a grain of salt because they are being used for commercial purposes, rather than appearing in a non-commercial, peer-reviewed academic journal. What's more, the studies seem to be comparing the Shake Weight with the use of a standard 2.5-pound free weight. A traditional weightlifting regimen for toning arms would gradually increase the weight well beyond 2.5 pounds. 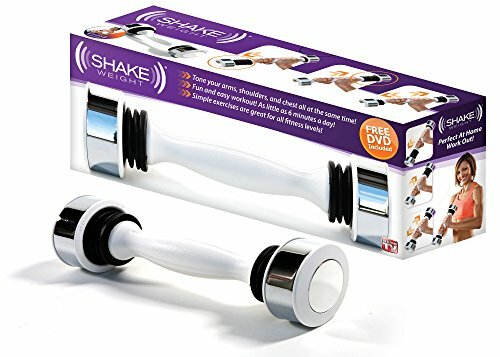 Quite a few reviewers criticize the Shake Weight's effectiveness as limited, instead recommending traditional weightlifting with a full range of dumbbells to build and strengthen muscle -- including reviews at WalletPop.com and Wired. Claims that the Shake Weight creates lean arms also come in for criticism, since "lean" implies fat loss. The Shake Weight is not a total weight-loss solution. We also found a few complaints at RipOffReport.com and WorldOfDiets.com about poor customer service when buying the Shake Weight online -- including refusal to refund shipping charges for a damaged product. Some do find the Shake Weight to be convenient, however, and it earns a positive rating from a fitness expert at ABC'S "Good Morning America." She recommends leaving it in a convenient location so you can use it often throughout the day. Overall, using the Shake Weight is certainly better than not exercising your arms at all. The main caveat is not to expect too much from it.